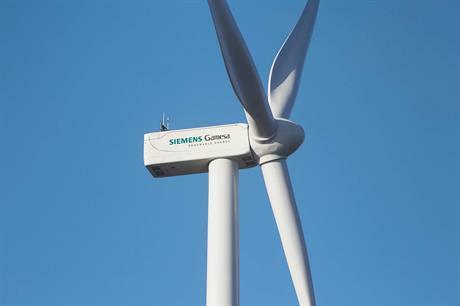 EUROPE: Siemens Gamesa Renewable Energy (SGRE) has announced a new 4MW geared-turbine platform, as it seeks to take advantage of economies of scale. Alongside the announcement of its new 8MW platform, which remained direct-drive, SGRE has introduced a 4MW+ platform of geared machines, which CEO Markus Tacke said would produce the lowest levelised cost of energy in its class. Since the merger of the two major wind players in April, the company has had a cluttered onshore portfolio. Its direct-drive onshore family comprise 3.2-4.3MW turbines with rotor diameters between 101 and 142 metres. It also included a geared-2MW range. 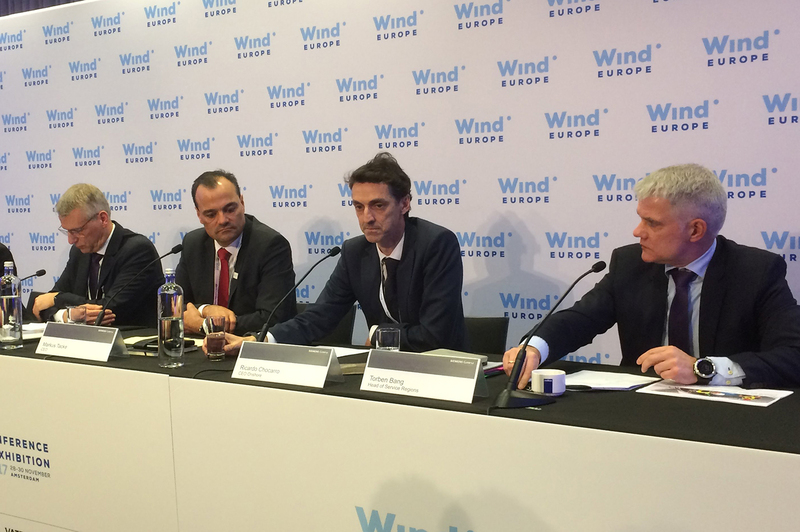 The new product portfolio, which will comprise just three models – one for each wind class – aims to reduce this confusion. The first turbine from the new platform will be the SG 4.2-145 turbine, aimed a medium-wind speed sites. SGRE is also planning to launch a 4.2-132 for high-wind speeds sites and a low-wind speed variant, but its capacity is yet to be determined and rotor size will be above 150-metres. The platform will be nominally offered as a 4.2MW turbine, but customers can specify between 4MW and 4.4MW depending on site conditions. Tacke said the decision to focus on geared turbines onshore meant the company could focus on the economies of scale by taking advantage of a globally established gearbox supply chain. "We announced a one segment, one technology philosophy [in early November]; this is how we execute this," Tacke said. He said while the offshore platform will continue to benefit from the lower weight afforded by direct-drive turbines, the requirement for this is less necessary onshore. SGRE onshore CEO Ricardo Chocarro, said the 4.2-145 turbine is the first to be fully designed by the merged company from start to finish. The platform will incorporate at a three-stage gearbox, using two planetary stages and one parallel stage. It will also have a double-fed induction generator. Production of the platform is expected to begin in the first quarter of 2019. It will be available with three standard tower heights of 107.5-metres, 127.5-metres and 157.5-metres, but again it can be altered to site conditions. Chocarro added, however, that while demand remained for the company's 2MW and 3MW platforms, both geared and direct drive, they will "absolutely be available".